The phrases Mitochondrial Disease, Mitochondrial Dysfunction, or even merely the term mitochondria in general, can be confusing, evoke fear and leave any parent or carer utterly frustrated when these foreign words are diagnostically attached to their unwell child. When did children’s health move on from coughs, colds, ear infections and scraped knees? Are mitochondrial disorders something that most children need to be routinely tested for? Why are some children being investigated when others are not? This article aims to explain what Mitochondrial Disorders are, from the cellular level, to the population level and particularly how they may present at the individual level. Treatments and support from both a Medical and Naturopathic approach will be highlighted, with advice on accessing professional assistance to care for, manage and support any individual living with a Mitochondrial Disorder. Research into mitochondrial disorders grows every year. Consequently, this means more knowledge and support than ever before, translating into an improved quality of life for children diagnosed with these conditions. An understanding of the role of mitochondria is the first step in knowing how dysfunctional mitochondria affect us. The human body thrives on the chemical and electrical energy produced within our cells. To produce this energy, our cells contain tiny sub-cellular organelles (“little organs”), which extract significant amounts of energy from ingested nutrients, in order to power each individual cell and the human body as a whole. These organelles are our Mitochondria. Without them, energy production would cease and all cellular functions would be compromised. All cells in the human body contain mitochondria, with the exception of red blood cells. It’s a huge reflection of their importance for correct cellular function. The total number of mitochondria within cells varies from fewer than one hundred towards the thousands, depending on the type of cell and its energy requirements. Mitochondria are an elongated bean shape, with two bi-layered membranes constructed of lipid (fat) and protein. One of these membranes is highly folded and is nestled inside the mitochondria forming neat shelves. Sitting on these shelves are the enzymes responsible for two major biochemical pathways for extracting energy from food. These pathways are known as the Citric Acid Cycle and Oxidative Phosphorylation. Energy produced in these two mitochondrial pathways will then be used to synthesize the extremely high-energy molecule, adenosine triphosphate (ATP). ATP then spreads within the cell, releasing energy where required to support cellular functions. As mitochondria are located in nearly all cells (hence, almost all organs) of the body, the signs and symptoms of their diseases can mean two things. Firstly, mitochondrial dysfunction can affect multiple organ systems. Secondly, diagnosis may be a lengthy process. The more dependent an organ is on energy, the more profound the symptoms of mitochondrial dysfunction will be. The signs and symptoms of dysfunctional mitochondria are described in medical terms are protean, meaning they are very variable, easily and continually changing. Again, because the signs and symptoms involve multiple organs, the clinical presentation of these children can be very non-specific, affecting the diagnostic process for the medical profession. A mitochondrial disorder may not be suspected until significant progression has occurred. Organs that are incredibly dependent on energy for optimal function include skeletal muscles, the brain, the eyes, cardiac muscle (the heart), the liver and the kidneys. The following table presents some of the signs, symptoms and known conditions associated with mitochondrial disorders. The term Mitochondrial Disease is just that, a term. It is actually a name applied to greater than one hundred different genetic disorders that all harm mitochondrial function. As these conditions are genetic disorders, they are subject to all the complexities of inheritance patterns, tracing faulty genes and the emerging science of epigenetics in order to try and understand them. As described earlier, mitochondria are subcellular organelles, but what makes them so unique is they are the only known organelles containing their own DNA. DNA is normally only found in the cells nucleus. It’s the molecule we all know as the bearer of our genetic code, passed from one generation to the next. Mitochondrial DNA (mtDNA) consists of 37 known genes. Genes are a code or a “recipe” instructing our cells to manufacture various chemical substances. Some mtDNA contains genes coding for enzymes involved in energy production reactions. Other mtDNA genes are not so “local”. They govern the formation of RNA (DNA’s cousin), which is responsible for translating the information in ALL our genes into fully functional, healthy cellular processes. mtDNA is subject to the same damage as DNA in all our cells. Mutations can occur. Mutations in the mtDNA will produce a faulty gene and compromise the eventual healthy role of that gene in the body. With mtDNA being genetic material, it can be passed on, from one generation to the next. There are over 1500 hundred known mutations that contribute to mitochondrial disease, some within mtDNA itself and some within nuclear DNA. From an inheritance standpoint, mitochondria in our body is inherited from our mother, that is, mitochondrial DNA is passed from mother to child, regardless of the child’s gender. The mother’s mtDNA may carry mutations. Not all of the mother’s mtDNA is mutated, so as her egg combines with the sperm and the cells divide, significant amounts of mixing, dilution and mosaic spreading of genetic material occurs. The level of damaged mtDNA versus unaffected DNA varies. As cells differentiate and develop, the types of cells affected (cardiac, brain, digestive, muscular etc.) will govern the severity and type mitochondrial disease symptoms an individual will inherit. The presentation is also generational, meaning that individuals in each generation in the same family can have a different mitochondrial disease. Due to the mosaic pattern of spread and the way that different systems are affected, each individual may have very different symptoms, with variable severity. This is another reason why the mitochondrial disorders can be so hard to identify; they are so different from one generation to the next that they don’t appear inherited. For instance mitochondrial dysfunction might be the driving force behind a grandmother’s heart issues, her daughter’s Irritable Bowel Syndrome and her grandson’s Autism. It must also be mentioned that some mitochondrial mutations are spontaneous and not inherited. Other mutations linked to mitochondrial disease are from nuclear DNA, which can be inherited from either the mother or the father. The presentation of these illnesses in the population is very deceptive, with the precise incidence of mitochondrial disease unknown. Worldwide statistics have changed noticeably over time, but conservative estimates from recent Australian research states approximately 1 in 250 people will carry a mitochondrial genetic defect – that equates to approximately 90,000 Australians. Not all of these individuals will develop disease or display symptoms. Heavy Metals. The following heavy metals have been implicated in genetic damage. Avoiding them during the pre-conception and pregnancy phase is so important, along with your family as they grow. Men need to minimize exposure in the pre-conception phase just as much as women. Cadmium (Cd) Mining, cigarettes, soil, use of phosphate fertilisers. Lead (Pb) Possibly drinking water, soil, dust and treated wood. Lead (Pb): paint (old houses, old toys), house dust, car exhaust, art/craft materials, plumbing and construction materials. Other chemicals. Pesticides: mainly found in food and water. Pesticides are known to cause DNA damage, including DNA within ova and sperm. Polychlorinated biphenyl (PCB’s) are one well known chemical culprit. They are found in old electrical equipment and insulation. Occupational exposure can be a major source of contact with these chemicals. Clostridium infection. There is some evidence that this genus of bacteria may be linked to mitochondrial disease. Tetanus, Botulism, Colitis and antibiotic associated diarrhea may all be linked to various species of Clostridium. Inadequate nutrition. Lack of good quality proteins, specific fatty acids, choline, inositol, antioxidant vitamins/minerals/phytochemicals, folate, CoQ10, vitamin B12, other B vitamins can all contribute to mutations in DNA and dysfunctional mitochondria. While it may seem hopeless, disheartening and a lost battle, there is so much we can do with nutritional medicine to preserve our genetic resilience and reclaim the health of ourselves our children and their families. The most powerful and effective way to achieve this is through proper nutrition. Getting back to correct nutritional principles and avoiding hype and spin is not only simple, but enjoyable. The use of nutrition for mitochondrial disease is not utilized enough and it could be much more an established part of the future approach for preventing and managing these illnesses. The pathology testing available for mitochondrial disease diagnosis ranges incredibly from routinely requested blood and urine tests performed every day, to highly specialized blood and urine tests and muscle biopsies. Routine pathology tests include liver function tests, blood glucose levels, full blood counts, kidney function tests and antibody levels. 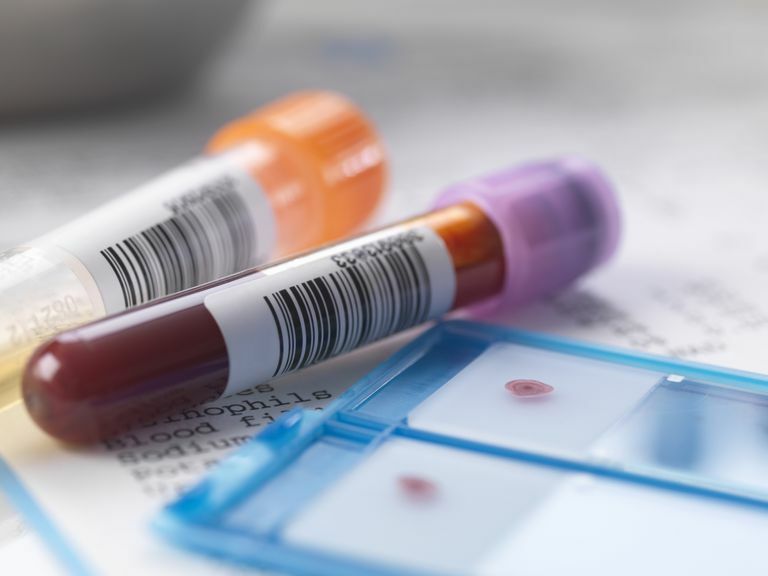 More specialized pathology tests include screening blood, urine or cerebrospinal fluid (CSF) for red cell minerals, specific enzymes, amino acids, fatty acids, metabolic wastes and substances indicative of altered cellular metabolism and poor mitochondrial function. Muscle biopsies may also be performed. The more specialised pathology tests are requested by Paediatricians with expertise in mitochondrial disorders. Children under investigation for mitochondrial disorders are referred to these Paediatricians via their GP. Both orthodox and integrative medical Paediatricians use these tests when they suspect that a mitochondrial disorder may be the underlying reason for the child’s health problems. From a Complementary Medicine perspective, other testing may be useful. This may include IgG food sensitivity testing, complete digestive stool analysis, hair tissue mineral analysis and IgE allergy testing. There are no long-term studies that dictate an exact or all-encompassing treatment for mitochondrial dysfunction. Every child’s presentation is so highly variable and each child will have different needs in order to prevent relapses and manage their symptoms. From a Naturopathic perspective, the use of nutritional medicine, nutrient co-factors as supplementation and phytomedicine are the modalities used to greatest effect. Wise referrals and a mutually respected integration with medical staff, the family, carers and most importantly, the child themselves become our priorities moving into the future with these very special children. Remove processed foods from the diet. Eat wholefoods. A good tip is not to eat food your great grandmother would not recognise. Eat organic where possible, particularly animal products. Minimise exposure to chemicals in your hobbies or occupation. Protect your body. Remove processed, low-fat foods from the diet. Eat good quality, organic, full fat products in their natural form, avoiding those with added sugars. Focus on: nutritious fats, nutritious proteins, clean fruits, vegetables, nuts, seeds and legumes. Address addictions: caffeine, tobacco, alcohol, sugar, prescription drugs (if safe to do so) and recreational drugs. Minimise exposure to electromagnetic radiation and chemicals as much as possible. Specific nutrients are associated with a powerfully protective effect on DNA, hence supplementation may be required. Anti-oxidant vitamins and minerals, specific B complex vitamins, co-enzymes and certain amino acids are essential for protection of genetic material, healthy cell division and replication. Managing the symptoms of mitochondrial disease can also be achieved through judicious use of nutrition. Self-prescribing is not recommended and does not achieve adequate clinical results. Professionals such as Naturopaths, Nutritionists and Doctors trained in Nutrition have expertise in effective and safe supplementation. They can help you with finding solutions to transitioning to healthy eating, for you, your partner and your children. Practitioners who are listed with the MINDD Foundation as recommended practitioners are all health professionals with additional training in genetic, immune and metabolic disorders. Ask a Naturopath, Nutritionist or Integrative GP if they have expertise in this area. If it’s not their area of expertise, they should be able to refer you.